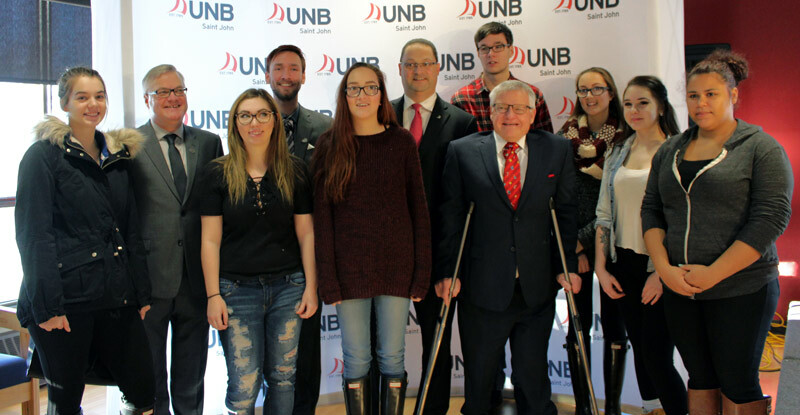 The provincial government has invested more than $216,000 in the Promise Partnership over the last two academic years at the University of New Brunswick’s Saint John campus through the Access and Success program. The Promise Partnership supports youth through tutoring and mentoring programs while helping them make informed decisions about post-secondary education options. It also helps combat poverty by providing educational support programs to young people in several of Saint John’s priority neighbourhoods. Since 2009, the department has funded the Access and Success program to help publicly funded colleges and universities develop programming to attract, retain and graduate students from under-represented groups, including First Nations, people with disabilities, low-income students and students who are first in their family to attend a post-secondary institution. This year, the government has invested more than $1.9 million dollars in the program, plus another $696,000 from the Labour Market Agreement for Persons with Disabilities. Earlier this year, the government established the Tuition Access Bursary, providing free tuition to New Brunswick students with a demonstrated financial need who have an annual household income of $60,000 or less, and are enrolled in an undergraduate degree, diploma or certificate program at a publicly funded university or college in the province. In addition to that program, other supports such as the student loan program, the New Brunswick Bursary and the Timely Completion Benefit are available to all students. The government has also removed the parental contribution clause from the student loan equation, making it easier for students to access funds. Tyler Campbell, communications, Department of Post-Secondary Education, Training and Labour, 506-453-4090. Heather Campbell, communications, University of New Brunswick Saint John, 506-648-5697.